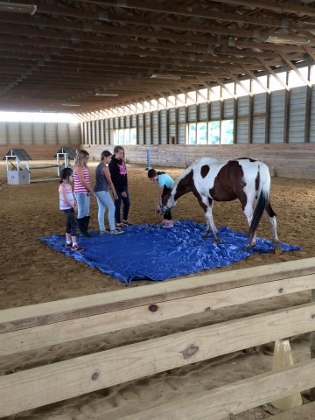 Summer Horseback Riding Camp in Salisbury, Maryland! Click the Link below for your 2019 Summer Camp Enrollment Form - fill out and mail in with $50 deposit to secure your spot! Come spend some summer time with us learning how to ride and care for horses or join one of our specialty programs and get involved in one of three disciplines: Dressage, Hunters, or Eventing! 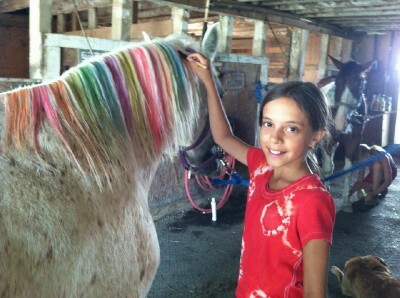 Our summer camps give students loads of hands on understanding of horseback riding, horse training techniques, and barn management. Students spend hours in the saddle each day! 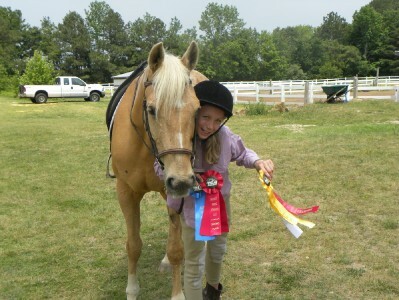 Wednesday - Friday 10:00 a.m. - 2:00 p.m.
BEGINNER CAMP: Intro to Horses! 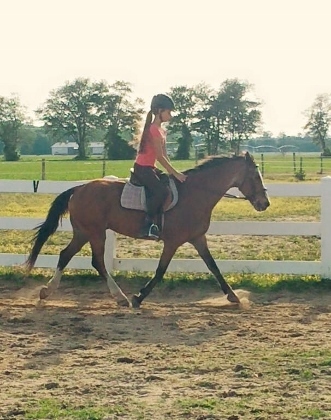 Riders new to horses, unable to canter, or low confidence welcome! 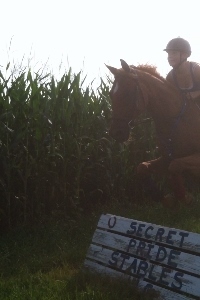 NOVICE CAMP: Progressing with Horses! Riders ready to canter or learning basic jumping and dressage skills welcome! INTERMEDIATE CAMP: Fun with Horses! Riders comfortable around horses, able to walk, trot, canter and jump - welcome! Riders able to jump, Welcome! Riders interested in jumping: stadium and cross country as well as dressage, Welcome! Three Days 'til Competition Camp! 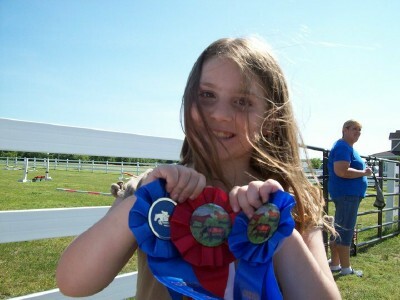 $30.00 11:00 a.m. - 2:00 p.m.
FOR CHILDREN AGES 7 AND UNDER WHO SHARE AN INTEREST IN HORSES AND PONIES. 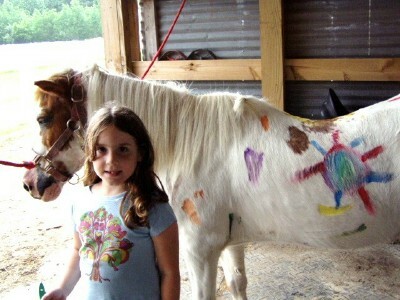 YOUR CHILD WILL LEARN BASIC HORSE CARE SKILLS, RIDING SKILLS, PLAY GAMES AND MAKE HORSE RELATED CRAFTS! Join us any camp day this summer and make it a barn day! 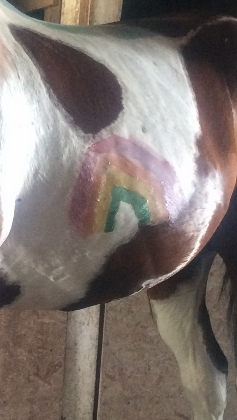 $45.00 10:00 a.m. - 3:00 p.m.
OR DO A BARN DAY DURING A SPECIALTY CAMP AS LONG AS YOUR ARE AT THAT RIDING ABILITY! 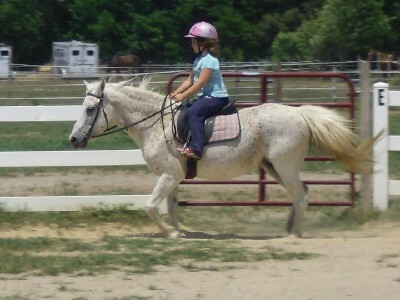 $300.00 10:00 A.M. - 2:00 P.M.
"True Beginner": New to horses and ready to learn from the ground up. Learning how to control a quiet school horse at the walk and trot and can stop the horse. 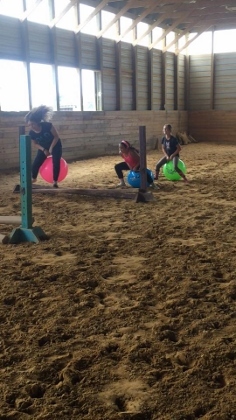 The beginner rider is still finding their balance and getting comfortable with the horses movement. : "Beginner": understands common safety practices while working around the horse. Is balanced to walk halt and trot while applying correct riding aids and maintaining position. Able to sit and post the trot in rhythm with the horse and is understanding posting diagonals. 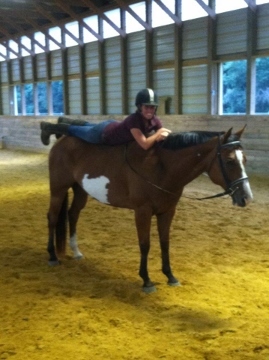 "Advanced Beginner": this rider can mount and dismount unassisted. Can ride independently at the walk, and trot the shapes of the ring while maintaining rhythm. 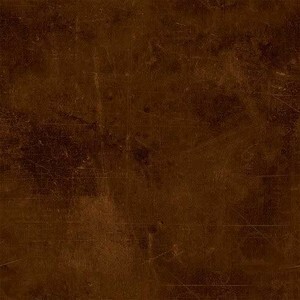 Is comfortable with and can maintain position at the halt, walk, trot (sitting, posting, and 2 point). Can trot a ground pole course. This rider is ready to canter! 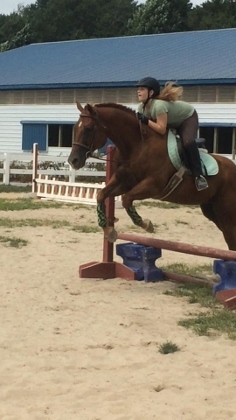 "Novice": this rider knows basic parts of the horse and tack. They are comfortable tacking and untacking the horse without assistance. They are learning to canter while remaining balanced and in control of the horse. 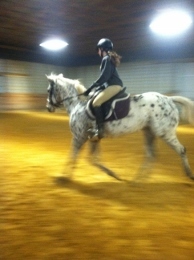 They are understanding their leads and can walk, trot, canter in both the full and half seat position. 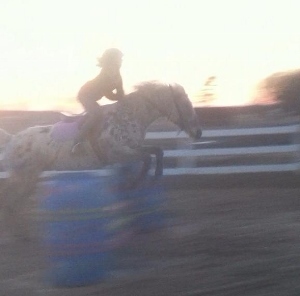 This rider has been introduced to small jumps. 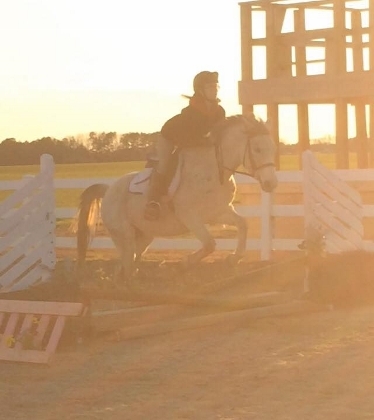 "Intermediate 1": this rider shows seriousness in their riding and has sound equitation skills. 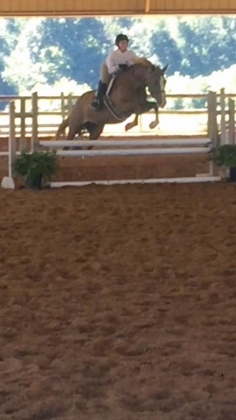 Can ride w/t/c with ring shapes and simple changes, knows what diagonal or lead they are on and can correct quickly. can stop the horse from any gait. 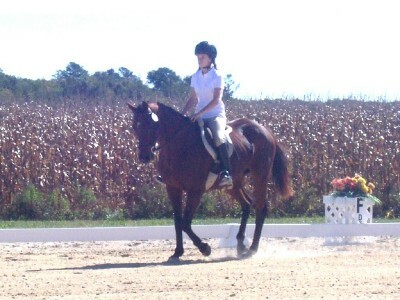 This rider has an independent seat and can ride without stirrups and is ready to be introduced to the basic principles of dressage and jumping. This rider is gaining knowledge in stable management and abides by the rules of the ring and emphasizes safety on and around horses.